A variety of preliminary mockups. 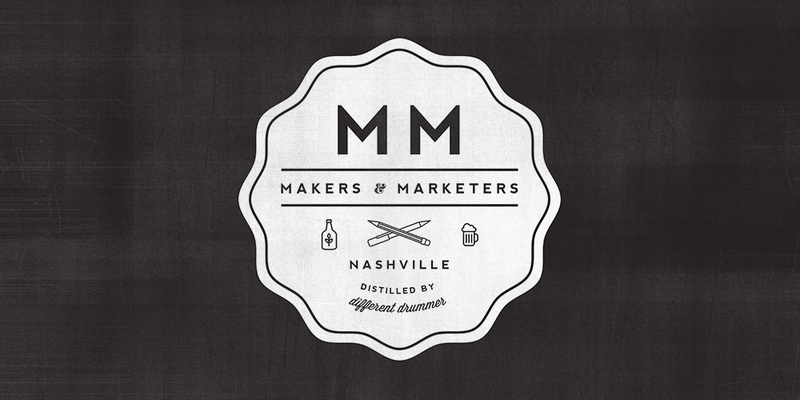 I was asked to design a logo for Different Drummer's Makers & Marketers event in Nashville. They were looking for something more vintage-y logo that would attract creative types and marketing people while also letting them know the event is for networking and drinking (hence the whiskey and beer icons). Makers & Marketers will try to bring creative people — from fashion to furniture, films to food — together to sip a glass of bourbon or cup of coffee and hear a fellow industry leader present a topic relevant to those who are making and marketing interesting stuff. I presented a variety of sort of "vintage" badge options, and they chose one of them and we tweaked it from there.